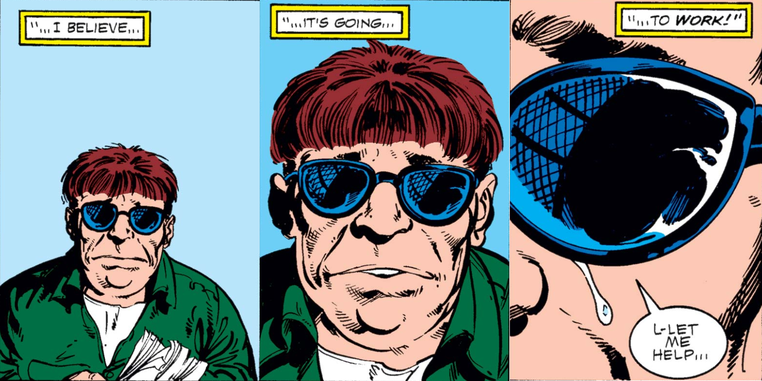 As Otto Octavius sets out to prove his SUPERIOR-ity, we look back at the times he proved his humanity. Every comic fan knows that Doctor Octopus goes through life as an insecure man wrapped in a shell of arrogance. He cares only for himself, and his motivations go no deeper than proving how great he is, striking back at those he perceives as wronging him, and enriching himself. Or, at least, that has always been the assumption. Otto Octavius has proven that the metal arms fused to his body are powered not just by his brain but his heart too. As the man stands on the precipice of becoming the Superior Octopus, we look back on the times that hate and arrogance fell away and revealed the accident that made him a Super Villain did not fully decimate his humanity. While comics fans saw a lot of Otto’s humanity on display during his time as the Superior Spider-Man, signs existed in brief glimpses here and there before. Arguably the most prominent of these came in FANTASTIC FOUR #267. Despite warnings about how dangerous childbirth could be for Sue Storm from as far back as FANTASTIC FOUR #6, she and Reed decided to have a child. Now, as the due date drew near, both the baby and Sue appeared to be in danger. Desperate and at his wits end, Mr. 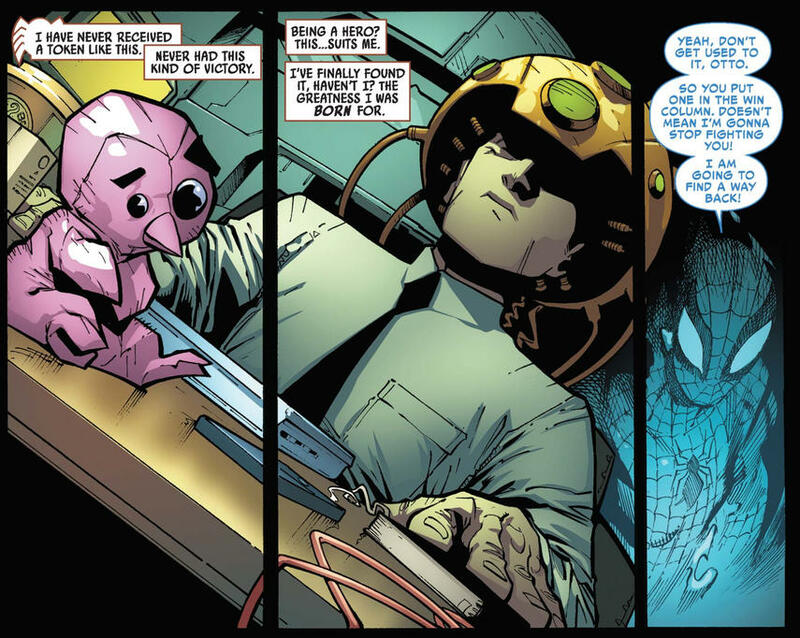 Fantastic reached out to Doc Ock for help. Otto shed a tear at the Richards’ family plight and agreed to help. While a billboard of Spider-Man and the high sensitivity of Ock’s arms complicated things considerably, the Doc’s intentions stayed clear. He hated Spider-Man, and that hate made it hard for him to think. However, the tears he shed were no crocodile tears. He wanted to save Sue, and even though he failed, the outcome wasn’t a result of something evil. Instead, his shattered mental health delayed and derailed him, indicating for perhaps the first time just how tragic Octavius’s turn to darkness had been. Doctor Octopus has long behaved as though nothing would be going too far. Marrying an elderly widow to access her trust fund? No issues there! Threaten to addict the whole world to a super drug by loading it on a rocket and shooting it into the air? Super Villainy 101. Beating up a teenager with the flu and exposing his secret identity to all his friends? All in a day’s work. After taking over Spider-Man’s body, Otto learned the Vulture had been using children to do his dirty work. It turned out the man does have limits. Horrified at the lengths his former Sinister Six teammate would go in the name of greed, the Superior Spidey took down Vulture with pitiless efficiency. Poisoning all the printer ink in New York City? A fair choice in the business of villainy. But never, ever use kids. They may not have started on the best of terms, punching each other in a scrapyard over an old invention, but once Cardiac had a chance to explain himself, things changed. 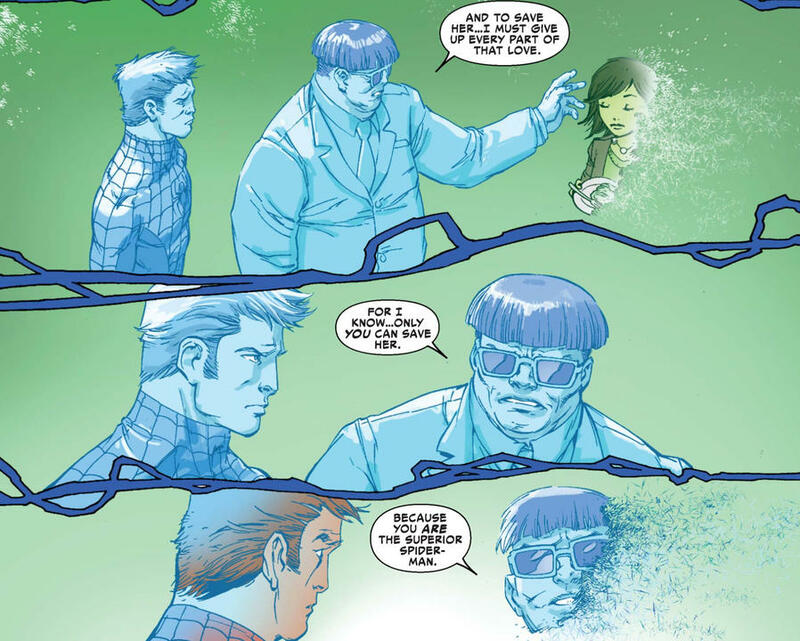 Learning a girl had experienced brain damage during a previous scheme of his when he was still Doc Ock, the Superior Spider-Man agreed to let Cardiac use the Neurolitic Scanner to help her. Moreover, he insisted on the subsequent necessary surgery. Going forward, Otto and Cardiac would come to form a working relationship with the latter performing surgery on Aunt May’s leg and the duo creating Flash Thompson’s prosthetics. The last time Cardiac showed up in a comic, it seemed that Otto’s change influenced him a bit as he battled to protect the city from the Goblin King’s invasion. As the Goblin King’s siege of New York City continued, Otto realized he cannot do everything he needs and wants to do. The Superior Spider-Man might have made more money than the Friendly Neighborhood Spider-Man, he might have developed more tech, and he may even have been more efficient when it came to fighting crime. At the end of the day, though, Octavius knew he lacked the one thing Peter Parker has in spades: will-power. Finding humility in the heat of battle, the Superior Spider-Man allowed his personality to recede and Parker to become the “driver” once again. As a result, Parker saved everyone Otto wanted to save himself, but knew he could not. The most prominent example of the humanity of Otto came from his relationship to fellow scientist Anna Marie Marconi. Beginning with him seeing her as useful, then respecting her as a scientific mind, the relationship eventually became romantic. For the first time, Otto wholly cared about someone else -- not because of what they could give him, not because of how it would make him look better, but simply because he loved her. Love makes fools of us all, it is true. However, unselfish love for another also reveals our undeniable humanity. And so it did for one Dr. Otto Octavius. Check out SUPERIOR OCTOPUS #1, written by Christos Gage with art by Mike Hawthorne, on sale Wednesday, October 3 online and at your local comic shop!